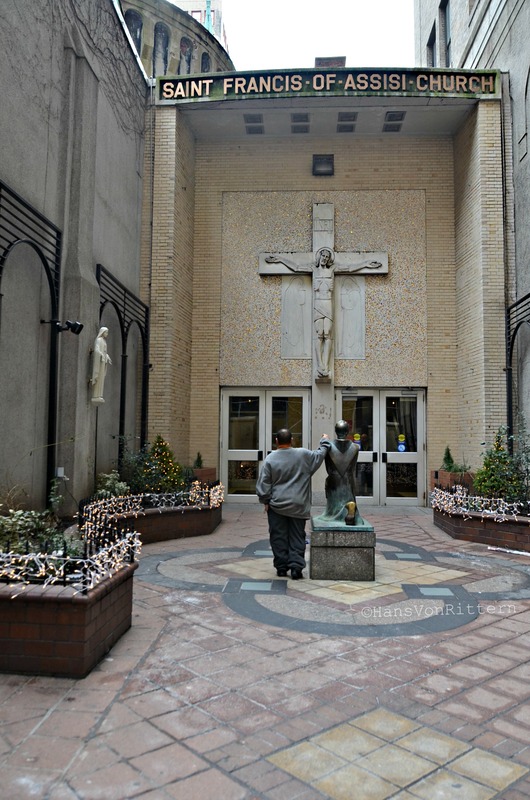 Photo of the day: A PRIVATE CONVERSATION WITH SAINT FRANCIS OF ASSISI – I was passing by the Church of Saint Francis of Assisi on West 31st Street when I came across this man who found solace in the early morning court yard of the church. He kept looking up at the cross of the church and was having a casual conversation with Saint Francis. It’s good to know people in high places 🙂 .